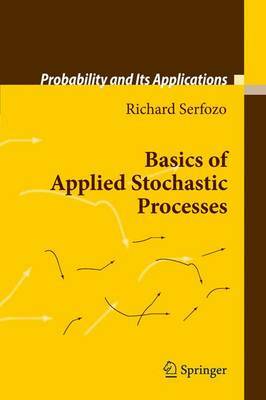 Stochastic processes are mathematical models of random phenomena that evolve according to prescribed dynamics. Processes commonly used in applications are Markov chains in discrete and continuous time, renewal and regenerative processes, Poisson processes, and Brownian motion. This volume gives an in-depth description of the structure and basic properties of these stochastic processes. A main focus is on equilibrium distributions, strong laws of large numbers, and ordinary and functional central limit theorems for cost and performance parameters. Although these results differ for various processes, they have a common trait of being limit theorems for processes with regenerative increments. Extensive examples and exercises show how to formulate stochastic models of systems as functions of a system's data and dynamics, and how to represent and analyze cost and performance measures. Topics include stochastic networks, spatial and space-time Poisson processes, queueing, reversible processes, simulation, Brownian approximations, and varied Markovian models.